Rye is home to 8 miles of New Hampshire coastline along the Atlantic Ocean. There are numerous town and state beaches, including Jenness State Beach and Wallis Sands State Beach. There are also 2 state parks including Odiorne Point State Park and Rye Harbor State Park (Ragged Neck), and Rye Harbor Marina. No person shall build a fire on any sand area of any beach. Only after obtaining a permit, a fire may be kindled on the rock areas of the beach. Permits are only issued to Rye residents and property owners. Allowable permit times for beach permits is between 5pm and midnight. All ash and debris left after the kindled fire must be disposed of properly once completely extinguished. For more information on beach fires, visit the Rye Fire Department burn permits page. Beaches and parking areas are closed midnight to sunrise. The use of alcoholic beverages on the beaches and in or upon any and all parking lots or areas easterly of Ocean Boulevard in the Town of Rye is prohibited. Dogs are prohibited from town beaches from 9am to 7pm beginning the Saturday before Memorial Day and ending the Saturday after Labor Day. Dog waste must be picked up immediately by its owner. No persons shall disrobe for the purpose of bathing, or otherwise, at any beach in a place or manner exposing them to public view. Go to the town ordinances page for a complete listing of town ordinances. Wallis Sands State Beach can accommodate approx. 500 cars ($15.00 per car), while Jenness State Beach can accommodate 67 cars ($1.75/hour using the park and pay meters). There are several permit parking areas which require a beach parking permit. 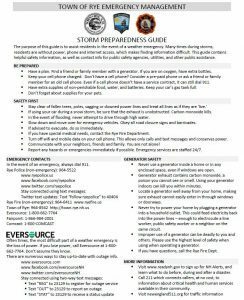 Permits are only available to Rye residents and property owners. All other parking is on-street parking. Please follow posted signs and never park on the traveled portion of the roadway. Beach parking lots are closed at midnight. Other beach parking restrictions, such as permit parking, are in effect from May 1st to October 1st. For a complete listing of parking regulations, go to the parking enforcement page. Any person surfing shall obey all lawful orders from Beach Lifeguards, Beach Commissioners or Police Officers. From the calendar period of Memorial Day to Labor Day and from the hours of 9:00 a.m. to 5:00 p.m., the following town beaches may be closed to surfing only when Lifeguards, Beach Commissioners, Selectmen or Police believe a public safety issue exists. Wallis Road Extension- the area between Wallis Sands State Park and Concord Point. Cable Road Extension- the area between the inside sand beach corner of Lockes Neck to Jenness Beach State Beach. Sawyers Beach- the area starting 50 yards south of the Eel Pond outlet pipes and extending south to the Beach Club. Surfers must stay at least 50 feet away from Lifeguard protected swimmers and swimming areas. Any person violating these surfing regulations shall be punished by a civil penalty of one hundred dollars ($100) for a first offense and ($200) for each subsequent offense within a twenty-four month period. Using the warning flag system, lifeguards notify swimmers of current water conditions. If you are unsure of the conditions or your ability as a swimmer, speak to a lifeguard before going into the water. If there is no lifeguard on duty, you will be swimming at your own risk. Rip currents are powerful, channeled currents of water flowing away from shore. They typically extend from the shoreline, through the surf zone, and past the line of breaking waves. Rip currents are dangerous, and account for over 80% of rescues performed by surf beach lifeguards. 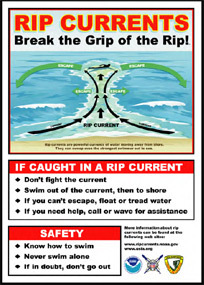 For more information on rip currents, visit the NOAA National Weather Service website. Note: Rip Currents are stronger 3 hours prior to low tide and 3 hours following low tide. Click here for the current tide charts. NH Department of Environmental Services website. There are several town and state beaches in Rye which have lifeguard protection in the summer. Those beaches include Sawyers Beach, Jenness State Beach, Cable Beach, Wallis Beach (Pirates Cove), and Wallis Sands State Beach. If there is no lifeguard on duty, you will be swimming at your own risk. 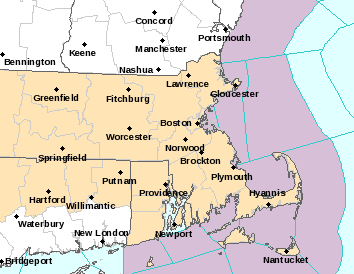 National Weather Service Weather and Marine Advisory Map. Click on the image for more info. Click here for weather conditions/ forecast for Rye.